Tired of tossing single-use plastic produce bags in the trash? 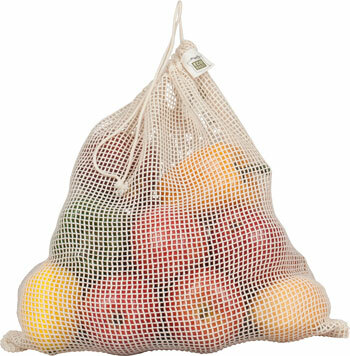 Our ECOBAGS® 100% GOTS Certified organic cotton mesh produce bags are the perfect zero waste option. 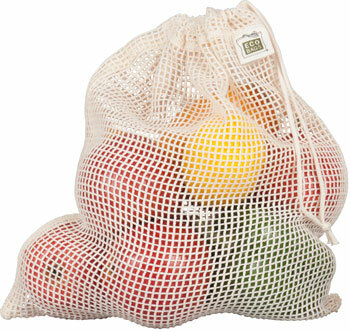 Our produce bags will also help to keep your fruits and vegetables fresh longer due to their breathable fabric. 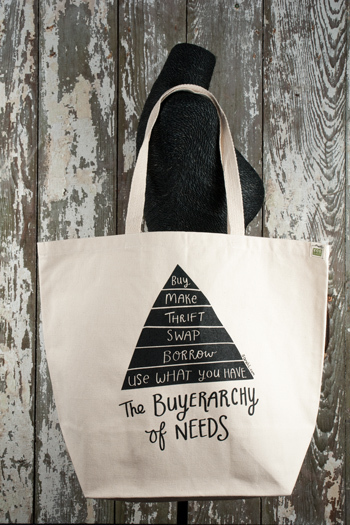 You'll see these bags are handy for organizing, travel, the gym, or even as eco-friendly holiday gift bags. All of our bags are made in accordance with fair wage, fair labor, and SA 8000 standards for both environmental and social responsibility. Available in 4 colors: Chili, Storm Blue, Washed Blue, and Natural. Capacity: Bag tested to hold 36+ onions; 12-15lbs.